The Premier Partner Program gives our resellers preferred status as an authorized Premier Partner, with direct access to our programs and promotions as well as an assigned Account Executive. Premier Partners are eligible to participate in Canon’s Quarterly Performance Growth Bonus Program on all DR-Series Scanners. Premier Partners must be pre-authorized by Account Executives and must have registered on this site. Sales will be tracked automatically through our Authorized Distributors’ Point-of-Sale reports and earned reimbursement will be sent automatically within 30 days following the end of the calendar quarter. Payment will be made based on an estimated reseller cost from distribution. Once processed, submission of claim form will not be accepted. Canon Information Technologies Services (CITS) has a trained staff of sales support personnel who can guide you through questions that arise during the sale. The CITS staff will also provide technical support once the sale is complete. Callers must provide the specific model number in order to obtain assistance. Your assigned Account Executive can help you customize Canon’s programs to fit your business model. We offer support for trade shows and open houses, end-user sales calls and assistance with local advertising opportunities as well as training. Premier Partners will qualify to receive leads generated from our 800 number as well as from our website, trade shows or any other sources such as demand generation efforts. Premier Partners will be expected to provide follow-up on leads received. We offer the opportunity to participate in a variety of sales incentive programs that offer SPIFFs throughout the year. This program offers our Premier Partners the option of participating in a customized demand generation program and/or local advertising. Canon will provide $5,000 per half to apply toward demand generation or advertising. Demo units are available on our products at discounted prices. Your Account Executive will work with you to determine the most appropriate product to purchase under this plan. Our Sales Tools are customized for each product. Many of our Sales Tools are available in hard copy; all can be accessed on our website at Sales Tools. In addition to ordering hard copies of our complete line of product brochures, all collateral material is available on our website. Learn about our products at your convenience by visiting our training site. Your sales representatives can log on to our website at any time to take advantage of this innovative training. These interactive web training courses are a fun way to learn about our products at a time that is convenient to your schedule. 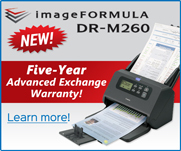 We currently offer product training on our complete lineup of DR-Scanners. As part of Canon’s commitment to assist you in selling our products, we will arrange interactive training webcasts for your sales representatives. The webcasts give you a fast and easy way to learn about our products without leaving the office! We will also provide the opportunity to partner with you to offer a webcast to your customers. When web-based training or a Webcast is not quite enough, our Account Executives will coordinate with you to set-up on-site product training for your sales representatives. As a Premier Partner, you will be eligible to participate in our annual Reseller Roundtable, held at Canon USA’s headquarters in New York. Only a select number of resellers are invited to participate in this all-expense paid trip. The Roundtable provides our partners with the opportunity to provide feedback on our programs and promotions as well as offering input into future products. During this event, you will be able to network with other top resellers while enjoying the sights of New York City. Canon offers CDIA preparatory courses that will give you the foundation needed to successfully achieve CDIA certification. These courses are available to our Premier Partners at no cost. In addition, Canon will reimburse authorized Premier Partners for the cost of the CDIA exam for each sales representative who achieves CDIA certification. We are pleased to send you a monthly e-mail newsletter that provides news and updates on current promotions and programs in a concise format. Warranties are provided on all products and resellers have the opportunity to provide their customers with extended warranties as well, either directly or through a third-party support package. Premier Partners must be pre-authorized by their assigned Account Executive. Annual minimum purchase commitment is $120K. Only scanner products (and related options, accessories and service agreements) purchased from Canon's Authorized Distributors will count toward eligibility. Extended Service Agreements and Exchange Program Service Packages administered through Canon. Agreements must be purchased direct from a Canon authorized distributor. Authorized Premier Partners will be given an initial 90-day grace reimbursement of 2% on all qualified purchases. Purchases of qualifying products can be made from any of Canon's Authorized Distributors. If a Premier Partner fails to maintain the quarterly sales requirements for two consecutive quarters, they may be dropped from the program. Canon reserves the right to revise or discontinue this program at any time without notice. 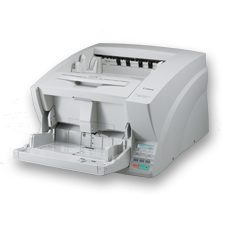 Complete the Canon Premier Partner Application Form and fax it to your NewWave account manager at 301-948-5883. We’ll then forward it to the appropriate contact at Canon and help get you onboard. Once you have gained eligibility, depend on a profitable partnership with NewWave and Canon. If you would like to join this enormously successful program and partner with NewWave and Canon, contact us at 800-536-5222. Take advantage of some great end user savings with the purchase of Canon products.